At first, it was a real struggle to get into Muchacho. Living in the UK, I was listening to it with snow falling down outside and it just didn’t fit. Then spring finally arrives, there are few clouds for once and I can see some bright thing in the sky, I think people call it the Sun, but I’m not used to it so I’m not sure. And Muchacho clicks. Setting aside the lyrics for now, the music is sunny and fits perfectly with blue skies. It seems to be a perfect fit to its release date, moving to spring, a few hints of the winter and darkness, but generally bright and bouncy. And if you were to entirely ignore what any of the lyrics mean, you’d have a great sunny day sing-along album; Ride On/Right On lends itself well to bad backup singing from the listener due to its simple repeating structure, as does the chorus heavy A Charm/A Blade. But it’d be ridiculous to ignore what the lyrics mean. 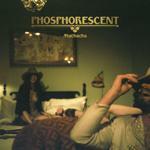 Everyone’s come to expect melancholy from Phosphorescent, so it’s no surprise that they’re dark as ever. Focussing on break-ups and the ensuing depression, there’s enough heartache spun into gold for all us indie-kids to gorge on while we drudge around, staring at our shoes. All this unhappiness mixed with major key music puts Muchacho into a nice little dichotomous group, rubbing shoulders with the Smiths, The The and John Grant. You can’t ignore the miserable lyrics, but you also can’t ignore that urge to sing and dance which results in a little wry smile popping up on your face when you realize that you’re relating to a pretty unhappy guy and responding by singing and doing a sad little dance. Song for Zula is a great example of this. With strings and an electronic beat in the background, Jonny Cash references and heartbreak, it’s an involving listen, and one with enough musical variety to reward all those repeat listens. The echo of the beat provides a perfect backdrop to Matthew Houck’s pained voice, creating a sound exactly like someone trying to keep themselves composed when all they want to do is cry. Houck’s voice has always been one of the most involving in the folk scene; almost a mutter, it’s perfect for the realism that’s needed for the audience to relate to the music. The reluctance to over stretch his voice causes you to believe him. Compare that to Adele, who’s still selling millions with a perfect polished voice wailing about a break-up. Give me Phosphorescent any day, you actually feel something when you hear a gorgeous track like Muchacho’s Tune because it sounds like someone breaking down, rather than only reading that way. Muchacho’s Tune, as well as being much better than Adele, is the standout track on the album is the peak of the slight slope of tracks that follow. One of those songs that shows the true beauty to be found in swearing, (see also Freak Scene by Dinosaur Jr. and Chicken Bones by John Grant) it details one of the few optimistic moments in Muchacho, our unhappy hero recognising that while he’s been fucked up and been and fool, he’s not the centre of everything. There’s someone else, and it’s that realisation that causes it to stand out. It’s even a sign that he’s going to get himself into a good mood once again, so its placement slap bang in the middle of the record is a little misjudged. The optimism that creeps out in Muchacho’s Tune undermines what follows. It’s not that the two following tracks are bad; it’s that they can’t match up to it, A New Anhedonia would be memorable on any other album but it’s lost in the aftermath of Muchacho’s Tune. It also suffers from being a slow piano led minor key song, the abject misery is piled a bit too high. I’m sure plenty of people will like A New Anhedonia, but I can’t get past the slow pace and slightly grandiose chorus. What I’m saying is it doesn’t fit. The Quotidian Beasts is also badly placed, following a similar structural arc and using roughly the same sound it makes you question whether something’s gone wrong and the same song is on twice. The only difference is that the instruments overwhelm Houck’s voice, leading to an eventual musical breakdown with every noise playing against each other. But there’s no beauty in the chaos, it’s just discord. Down to Go marks a return to the earlier sound of the album and has a deft chorus with a bit of humour in it, as well as a bit of weeping brass. There probably aren’t enough moments that make the hairs on the back of your neck stand up, but after the initial struggle to get into, it’s a rewarding record to return to. So it’s at least worth a listen.